I’ve been hearing a lot lately about low-carb diets, and I think for some people, it can help them lose weight and be healthier. In fact, I have a good friend who went full keto and was able to lose over 100 pounds through the keto diet + exercise! However, for me, I truly believe carbs are not the enemy. My 95 year old grandpa has been eating carbs all his life, especially white rice, and he is one of the healthiest people I know. His diet is balanced, combining the carbs with healthy protein from fish and chicken along with lots of vegetables. He still teaches a ballroom dance class, drives, climbs ladders to pick fruit off of his trees, and takes daily walks. My point is that I think we all need to find what works for us, and any diet that is too restrictive and extreme is difficult to maintain for the average person. I believe the key to health is moderation and having a well-rounded diet. In addition, I walk an average of 5-7 miles per day (to and from work + errands), plus work out almost every day. Without carbs in my diet, I would feel sluggish from lack of energy! 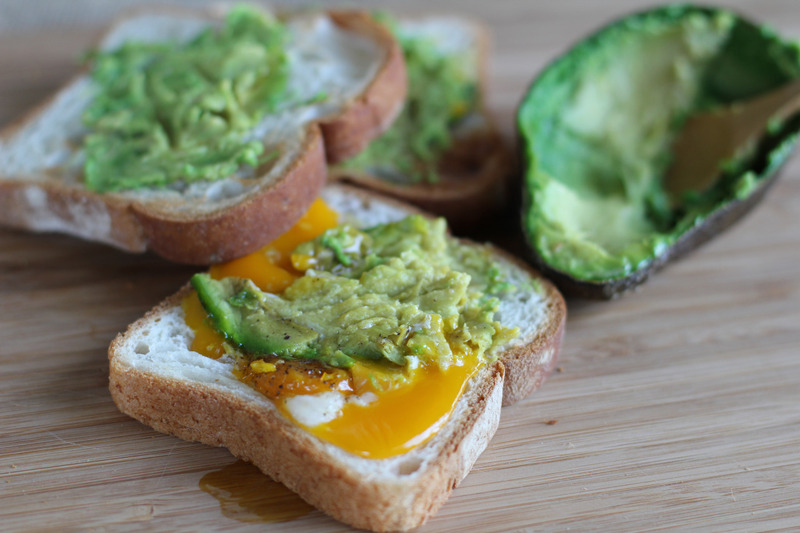 Healthy avocado toast from my kitchen! Many carb-filled foods act as powerful appetite suppressants. They’re even more filling than protein or fat. These special carbs fill you up because they are digested more slowly than other types of foods, triggering a sensation of fullness in both your brain and your belly. Research done at the University of Surrey in the United Kingdom found that consuming Resistant Starch in one meal caused study participants to consume 10% fewer calories (roughly 150 to 200 calories for the average woman) during the next day, because they felt less hungry. These fatty acids help preserve muscle mass—and that stokes your metabolism, helping you lose weight faster. Researchers set out to fatten up two groups of rats, feeding one group food that was low in Resistant Starch. A second group was fed Resistant Starch-packed food. The rats fed the low Resistant Starch chow gained fat while losing muscle mass. Rats that ate the high Resistant Starch meals preserved their muscle mass, keeping their metabolism moving. 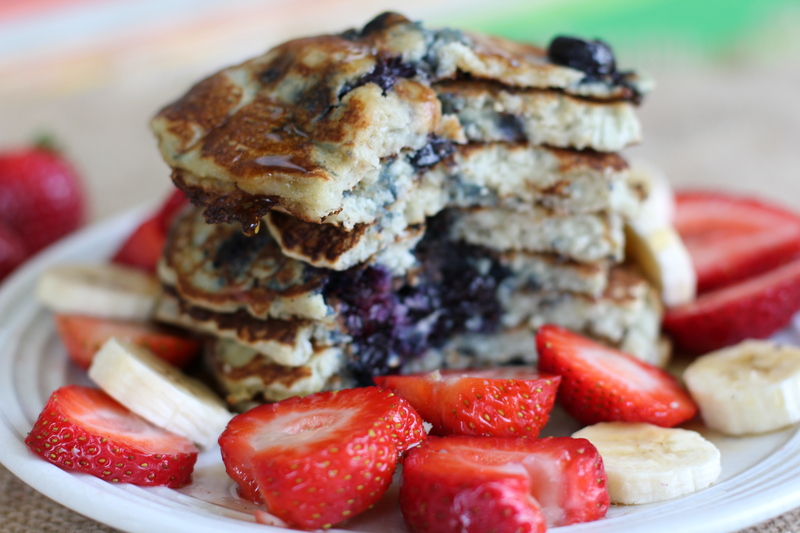 Gluten free pancakes from my kitchen! So I’ve concluded for myself that carbs are an essential part of my diet! The moral of this story is that it doesn’t make sense to overly restrict any foods. Or as my friend Brooke says, foods do not have moral components; they are not either good or bad. I personally feel my healthies when I eat a balanced diet including carbs, protein, healthy fat, and natural sugar. Of course each person’s results will depend on their level of activity, genetics, and type of carbs you eat. But the moral of the story is that it’s A-OK to stick with healthy carbs, like quinoa, brown rice pasta, and beans for a well-rounded balanced diet!